Be the first to hear about their new releases and deals. 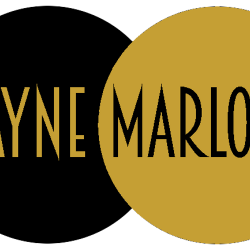 Download the Booksprout app and search for Jayne Marlowe today! Jayne Marlowe is a child of the 1970s, a Gen-Xer looking for her lost tribe. She writes interracial stories featuring curvy Black women who defy stereotype and genre conventions. Her interests include reading, music, animals, Archie comic books, cartoons, retro things, vintage things, fried food, real cars made out of real steel, and people who have a sense of humor. When she isn’t writing, Jayne is getting inspiration for future stories by reading, travelling, and her music tastes range from ABBA to The Zapp Band. She has received more than one indecent proposal in her life...but was too chicken to accept...more often than not, anyway. So she uses them as “what if” scenarios for her books! She is left handed and very ticklish.